We’re now in the Power Station itself, moving east along the corridor at the back of the offices. It’s now choked with bits and pieces of office furniture, moved out from the mostly empty offices. 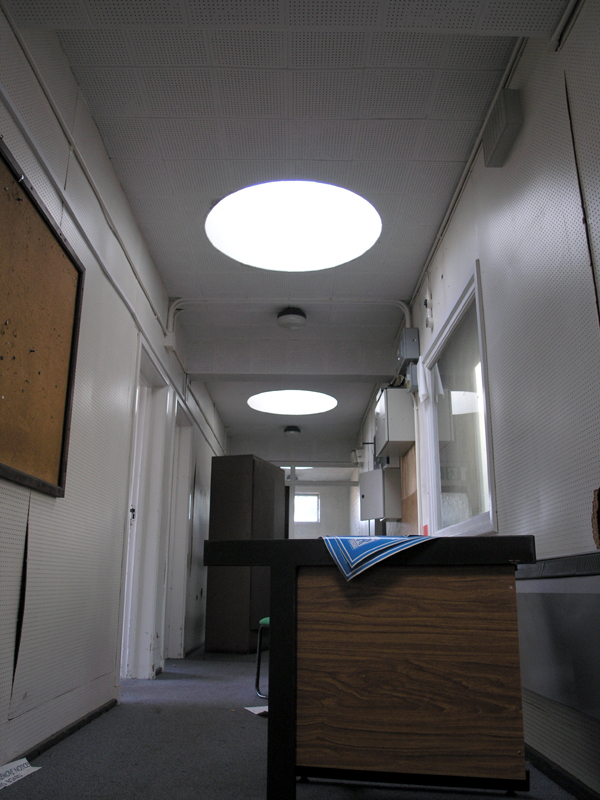 The circular skylights again hint to the building’s 1950s styling. The office corridor looking east with the control room behind.